Part 11 in our series A to Z Considerations for Seating & Wheeled Mobility: A Quick Reference Clarifying Confusion Around CRT. See Part 1, Part 2, Part 3, Part 4, Part 5, Part 6, Part 7, Part 8, Part 9, and Part 10. Now that you have objectively justified that your client does, in fact, require wheeled mobility to perform functional tasks and MRADLs in a safe and timely manner, it is time to begin mobility equipment trials. If you think an optimally configured manual wheelchair will allow your patient the level of safety and independence required to navigate the home and perform necessary daily activities, then you need to complete functional trials in a manual wheelchair. If your client can ambulate but is not efficient, you can repeat the timed gait distance test you utilized when assessing ambulation and compare the time to that of the client utilizing wheeled mobility as the means of mobility. Can the client utilize a standard wheelchair (K0001) or a standard hemi-height wheelchair (K0002) safely and efficiently? If not, is a lightweight wheelchair (K0003) sufficient? Does the K0001, K0002, or K0003 offer the level of adjustability your client requires to achieve an appropriate fit in the wheelchair? No? Then, you must look at a high-strength, lightweight wheelchair (K0004). While the K0004 offers increased adjustability and improved ability to customize the chair based on your client’s specific needs, it is still very limited. If this is not sufficient, only then can you begin looking at an ultra-lightweight manual wheelchair (K0005). The K0005 is the lightest and most adjustable wheelchair; it offers the greatest level of customization and configurability within the manual wheelchair category. *TIP: The extent to which a K0005 manual wheelchair can be customized based on that specific client’s body and individual needs often enables them to truly be a functional manual wheelchair user. The K0005 can be the difference in getting to the bathroom in time and avoiding incontinence throughout the day. It is my opinion that best practice is to at least assess for this category of manual wheelchair for anyone is who is a full-time user. If the client is dependent but does NOT have the ability to drive a power wheelchair (be sure to think through alternative drive controls before ruling out power wheelchair options), then you will be considering a manual tilt-in-space chair that the caregiver can easily push and maneuver. 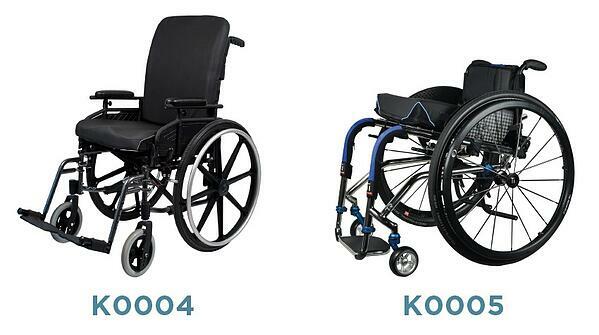 *TIP: Here is a chart to help you understand the pros and cons of each of the types of manual wheelchairs mentioned above: K0001-K0005 and manual tilt-in-space. While it would be ideal to actually complete trials in each of these types of wheelchairs, we all know that time is a constraint. Check out next week’s blog on real life suggestions to quickly rule out lower model manual wheelchairs from the data you gathered during your physical assessment. Cole, Elizabeth. “Choosing the Appropriate Manual Wheelchair.” US Rehab Seating and Mobility Master Program. 2016 Lecture. 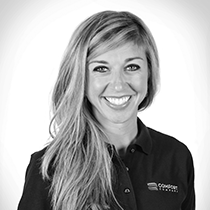 Mullis, Stacey, OTR/L, ATP; Endsjo, Ana, MOTR/L, CLT; Sharpe, Lindsey, PT, DPT. Seating and Positioning Guide. Comfort Company. 2017.